I'm not really sure what you call the padded eyeshadow applicators but I don't really use these as I don't like them so I didn't actually use this but if you enjoy using them there's one in this set which I'm sure will make you happy! Finally the lash/brow comb is basically used for what you think! I didn't think the brush for the brows would actually work to be honest but it does and helps set the brows into place. This little set will only set you back €5.46 which I think is such a bargain for a little set you can pop into your bag and bring with you. The quality is amazing as I have washed these about three times so far and they have not lost any bristles! The bristles are also super soft and don't feel scratchy in any way like other cheap brushes do. Finally their pink!! Which personally for me makes them very pretty to look at, I also love that the bristles go from white to pink as it's something all my other brushes don't have so it's a cute little change! I'd definitely recommend this set if you're on the look out for an affordable set to just carry around with you. 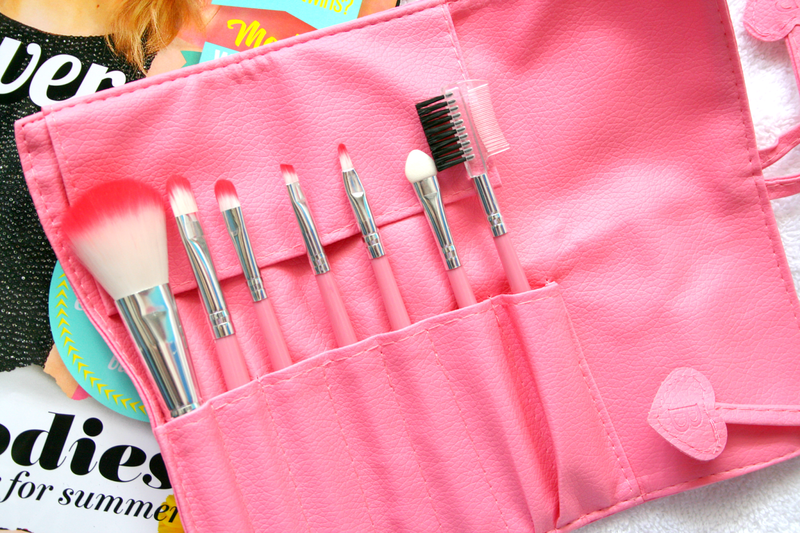 What brushes do you tend to carry in your handbag with you? The biggest brush looks so soft! 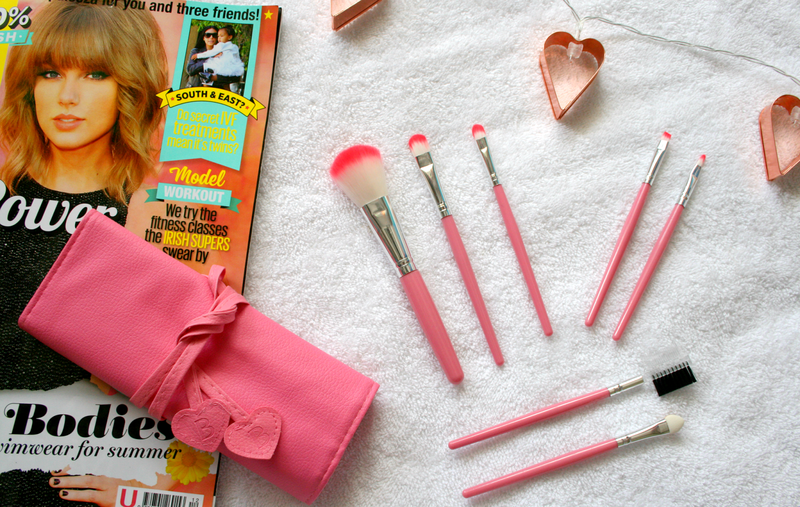 They are so pretty girly brushes, i would love to have these in my collection!